Good news! If you are not entirely satisfied with your purchase, we&apos;re here to help! WHAT ITEM CAN BE RETURN? Nutty provide returns for ALL item, except the following non-returnable items: Specifically stated non-returnable items, On sales item, accessories, swimwear, stocking, discounted item(s) using discount codes (unless specified returnable), Pre-order items (unless specified returnable), orders made with account credits, and free gifts by Nutty. Return period: Return Item(s) must be shipped/posted out within 12 working days of receipt. 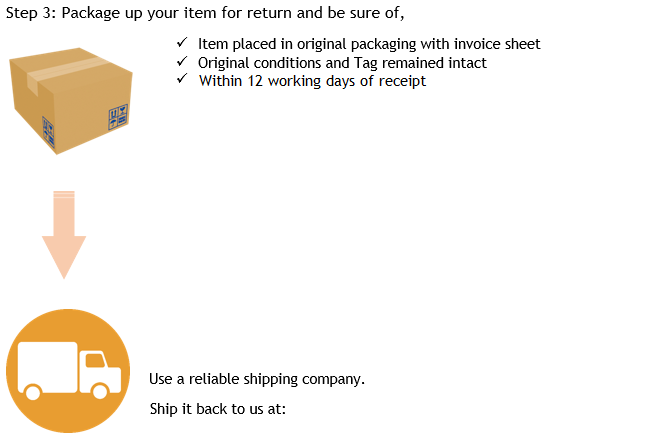 Our team will follow up the tracking number that is provided by you! *You are agreed to our Return Policy as you return the item. Please refer to our RETURN POLICY!